Ear­li­er this week I start­ed this series by look­ing at my dig­i­tal pho­tog­ra­phy work­flow as applied to image acqui­si­tion (tak­ing the pic­ture). Today I’m going to look at what I do with the image in my mobile pho­to stu­dio, my iPad Dark­room, if you will. I’ve got the image, now what? Tak­ing the pho­to is just the start­ing point. Once you have a neat image, you can eas­i­ly make it stronger by care­ful­ly apply­ing mod­ern dig­i­tal dark­room tech­niques. In my case, I shoot on a Dig­i­tal SLR (Pana­son­ic Lumix FZ-30), or a Canon Pow­er­shot Point-and-shoot. On the FZ-30, I shoot RAW+jpg, which poten­tial­ly gives me the most dig­i­tal infor­ma­tion to work with in the dig­i­tal dark­room. The Canon gives me .jpg so I have to take what I can get. I say poten­tial­ly because cur­rent­ly, only a few apps sup­port (or are plan­ning to sup­port) RAW. Edit­ing a .jpg is ade­quate, but not opti­mal. 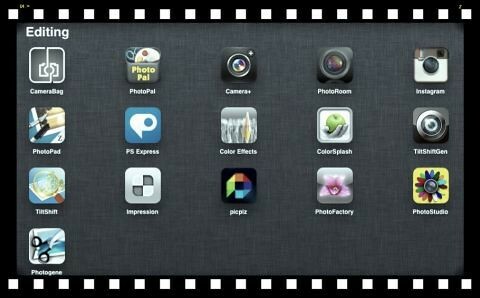 Apps, tools and techniques for photo art on iOS devices - especially the iPad.